I've just read an article in What Really Wins Money that reminded me of some research I read about a couple of years ago. 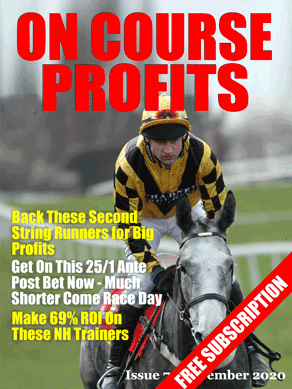 The idea was that if you could bet horses in play and just beat the Betfair SP that a long term profit could be made. What the researcher failed to take into account was that if you backed the horses that drifted a bit in play that you would be betting 100% of the losers. But not all the winners would drift and so these ones wouldnt get bet. So for any system that this idea was applied to all the losers would be retained but some of the winners missed. The increased prices were not sufficiently bigger to make up for all the missed winners. What Clive has suggested at WRWM is that a similar method is followed on the football. I havent tested this out for myself yet, but it looks to be a sound idea. The main reason being that a football match is played over 90 minutes instead of the minute or so of a horse race. It is common place for a team to go behind only to go on and win a match and because the odds can move significantly when a goal is scored the bigger profits can compensate for the missed winners. The full article can be read in the August 2012 What Really Wins Money, it's an interesting angle worth looking into!